Have You Considered a Dynasty Trust for Your Family? | The Levin Law Firm - Philip Levin, Esq. Have You Considered a Dynasty Trust for Your Family? When most people hear the term “Dynasty Trust,” they assume it is an estate planning technique for only the wealthiest of families. However, Dynasty Trusts are being implemented today by families and are often used by many families of a greater wealth spectrum. Dynasty Trusts are established to keep your wealth within your family for a longer time frame than traditional trusts. When properly designed, they can last for multiple generations, depending upon the law of the state where the trust is established. Upon the passing of the client, a Dynasty Trust becomes irrevocable, and are therefore perceived by some clients and financial advisors to be inflexible. However, through the appointment of a Trust Protector, and including flexible distribution provisions, adjustments to these type of trust are possible, and in fact often result, due to changes in future personal, family, and financial circumstances, along with changes in tax policy and legislation. Of course, it is always important to secure a full understanding of the estate planning goals and objectives of the family before creating a Dynasty Trust for the family. They consolidate and build intergenerational wealth, allowing you to create long-term security for your family.They help avoid estate, gift, and generation-skipping transfer taxes. Although these taxes are unpopular with the current President, and Congressional Republicans, history reveals that tax policy can change after any election.Therefore, any comprehensive estate plan must consider the possibility of reinstatement of federal estate taxes, even if such tax is temporarily repealed.They protect your beneficiaries’ inheritance from creditors, predators, and divorcing spouse.When creatively designed, they can even incentivize desirable behavior from your trust beneficiaries. How Does a Dynasty Trust Differ from Other Types of irrevocable Trusts? Simply put, a Dynasty Trust is designed to consolidate and build intergenerational wealth over a long period of time. Other common types of irrevocable trusts you may have heard about (i.e., GRATs, ILITs, QPRTs, CRTs) are created to achieve a particular tax result. However, Dynasty trusts build on these planning strategies and are appealing because they allow you to take a long view of estate planning for your family. 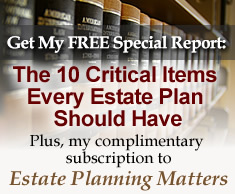 Why is Now the Time to Explore this Estate Planning Option? In today’s favorable tax and legal environment, Dynasty Trusts can make more sense than ever – especially if your family has significant life insurance policies, a small business, anticipated inheritances, along with other assets that might increase in value significantly (like founder’s stock, a vacation residence, or vacant land in a fast growing area). In the past, families have not always had such wide opportunities to explore Dynasty Trusts. Today, many states have enacted laws abolishing perpetuity type trusts, which had prevented trusts from lasting for multiple generations. While these laws still exist in some states, there is a trend toward less rigid application, or even outright removal of these rules. Admittedly, one reason for the growth in popularity of these trusts is that financial institutions stand to benefit from management fees associated with them. However, your clients and their family members benefit as well because wealth that’s consolidated and managed (as in the case of a Dynasty Trust) is more likely to be preserved and successfully passed from one generation to the next, versus wealth that is simply divided and distributed outright to children, as in the case with many estate plans. Is a Dynasty Trust the Right Choice for You and Your Family? Most people think of Dynasty Trusts are a planning strategy available or indicated only for the highest net worth families. And while they do require the help of a skilled estate planning attorney, who can navigate the complex interplay between state and federal laws, along with the dynamics of the family, such trusts can be an attractive option for your clients and their families. In fact, Dynasty Trusts offer an excellent method to pass along lifelong financial security to your loved ones for generations to come, in an asset protected manner.